To enhance the quality of life in Spokane by engaging community organizations and citizens as partners in support of our police officers and their work. Public Safety is critical to anyone visiting, living in, or working in the City of Spokane. 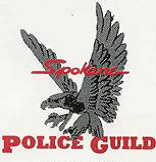 The Spokane Police Foundation is an independent, 501(c)3 nonprofit organization formed to support the work of the Spokane Police Department and ensure our city is the safest community in the region. Youth and community programming, training, and development to strengthen the partnership between the police and the community. The Spokane Police Foundation's Board of Directors is made up of community members that are committed to supporting the Spokane Police Department and it's officers. Help us get the SPD the tools it needs to keep Spokane safe.